Some of my favorite things are fresh green beans from the garden but we always grow way more than we can eat in a hurry. Luckily I learned a great trick from my mother-in-law for saving them – I put all the extra green beans into a cotton pillowcase, unwashed directly from the garden, tie a knot in the top and store it in the freezer. It’s super simple to just pull out a couple handfuls and wash them when I need them for a dish like this easy one skillet chicken dinner. It’s always nice when you don’t have to dirty a bunch of dishes to make supper, and even better yet when you can put a lid on, walk away and let dinner cook itself. This chicken comes out so tender, moist and delicious that even the kids ask for seconds so be sure to make plenty! Mix flour, lemon pepper seasoning and salt together on a plate. 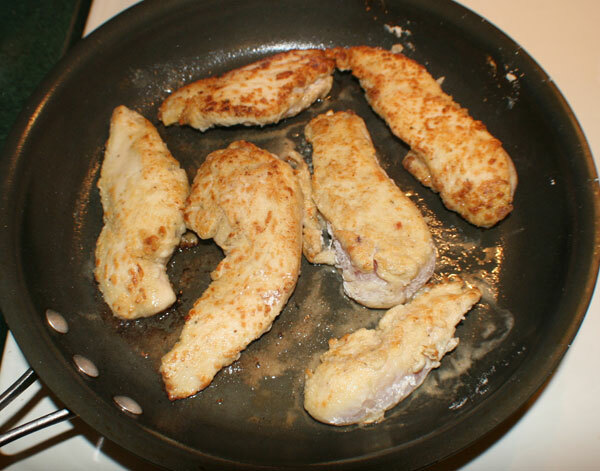 Cut each boneless, skinless chicken breast into two to three strips, dredge in the flour mixture and brown on both sides in a large skillet. 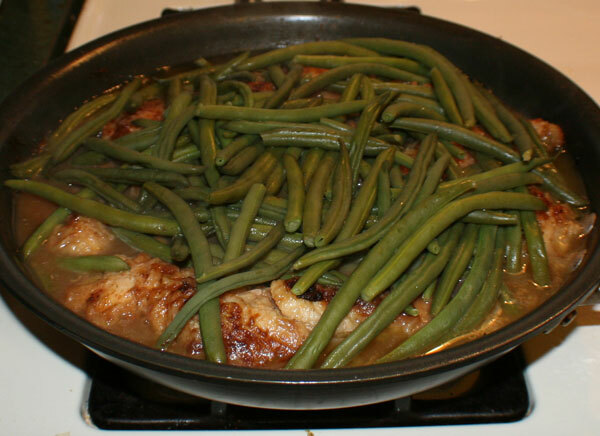 After the chicken is browned on the outside but still pink in the middle, reduce the heat and pour the can of broth into the skillet. 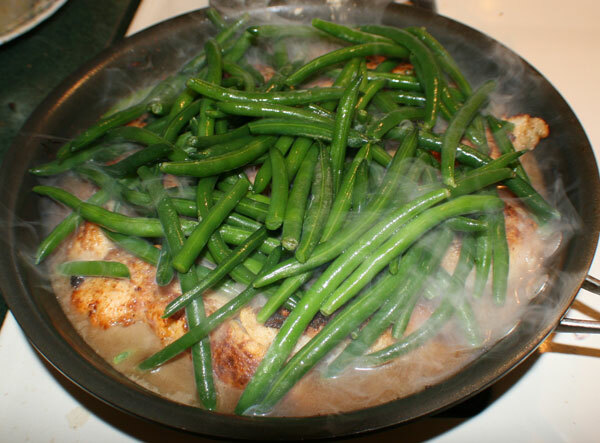 Add fresh or frozen green beans, cover and simmer for 20 minutes. 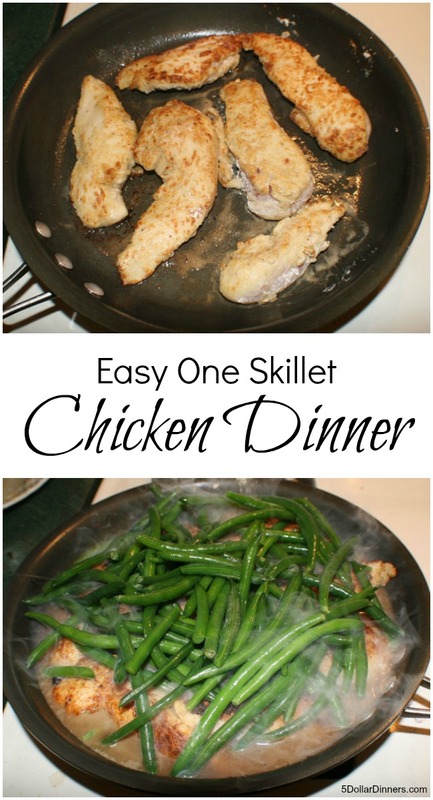 Serve and enjoy an easy one dish dinner! Copyright © 2016 $5 Dinners™. All rights reserved.